Doorway Text Type is a series of exercises that, followed properly, can lead to a high rate of accuracy in typing and a good rate in terms of words per minute. In handwritten exams with a lot of writing involved. Writing at a rate of 20 words per minute is an arduous task. Rates of 40 -50 WPM should be easily managed by young learners. Doorway Text Type is a touch typing tutor (TTT) takes learners from the home keys to mastery of the whole keyboard and typing sentences. 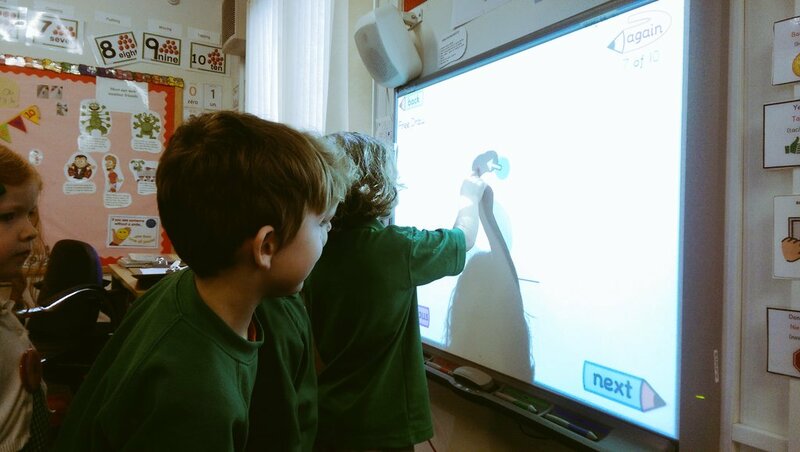 This activity is designed to be as accessible as possible to visually impaired learners as possible. This should benefit all learners. Touch Typing is just that. There should be no keeking* at the keyboard. Do not look at the keyboard or your hands, all the information you need is on the screen in Doorway Touch Type. Touch typing is a motor learning experience. This means not looking at your hands. The best way to ensure this is to cover the learner’s hands with a light cloth. If you truly learn to touch type this skill will last a lifetime like riding a bike. Even learners with mild to moderate visual impairment can be tempted to peep. You need to get into a comfortable position in which the hands fall naturally onto the keyboard. The surface on which the keyboard stands must not be too high. The wrists may rest on pads if you are typing for a long time. A Touch Typing programme is a series of lessons starting with the home keys ( A S D F J K L : ) and leading to full mastery of the keyboard. Moving on to the next exercise without sufficient mastery of the current exercise will only lead to disappointment later on. A score of 90%, or one error in every ten keypresses, should be the minimum achievement before moving on. 94% or better is our recommended level of accuracy before progressing. Learners benefit from regular practice. Little and often is best. Accuracy should come before speed. Start slowly. If you can type at a regular pace, almost to a beat, it will help you achieve a high speed. Note Text Type 3 now has a rough word per minutes (WPM) score. However, it is not introduced until all the characters have been introduced. Doorway Text Type 3 Phase #1 is here! Doorway Text Type, the massively used Touch Typing Tutor for visually impaired (VI) learners has undergone a very important upgrade. – Phase 1 is mostly a replacement for Text Type 2 with a few additions. – All the same features are there except for Practice Talking Keyboard. This feature will be included in Phase 2. – The menus look rather different, however, we think they are an improvement, as they make the available options clearer. – The menu page shows the exercises that can be chosen. These are identical to the those in TT2 except for the insistence that leaners repeat a line establishing the home keys, in the early exercises. This was our best response to a request from our consultant Qualified Teacher of the Visually Impaired, who has been consulted at each stage of the development of Touch Type. – In that menu, the exercises, as you progress, will be marked with an amber blob or a tick. This reflects the rule built into TT3 that you may progress to the next exercise having scored 90%. Having gained 94% or more you should definitely progress to the next exercise. However, this system relies upon users being logged onto the computer or network with their own ID. Having multiple users of the same login ID may cause problems. – There is now a rough Words Per Minute (WPM) score. This is only available after exercise 27. 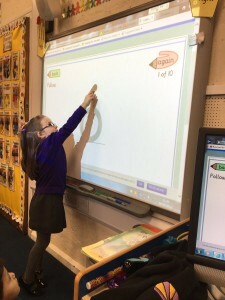 Accuracy is more important than speed, however, as our QTVI has reported, occasionally a young learner will continue to type at a very slow speed, once all the letters and common punctuation are established. WPM is a motivator but a very crude score and should only be used for comparing your own speed with previous scores. – There are fewer display options in Text Type 3 stage 1. I believe the most commonly used options are available including a rather good inverse video. Only one “indicator style” is used. If there is a demand, some enhancements to the on-screen keyboard for VI learners will be re-instated. – Please use the full-screen option. This is what the design is based around. The screen format is more “letterbox” than in TT2. This has led to a certain amount of pressure on the vertical presentation. This was felt to be the best solution to creating multi-device activities. Please note that full-screen option does not work as you would expect on an iPad. Apple have gone their own way. We have tested mostly in Chrome on a Windows 10 computers. Please, try other platforms and browsers. If you find a problem in Internet Explorer alone, please report it but it will not be treated as a bug, as IE is not a target browser. If you find something wrong or unexpected about a feature, do comment. All contact will be acknowledged. We shall attempt to rectify errors in Phase 1 and certainly by Phase 2. Please use this error reporting form. The details about the system used and browser are important. the on-screen representation of all the target keyboards, Windows and Mac, US and UK layouts and Bluetooth. Doorway Activities have been developed in Flash. This is a very suitable medium for creating these learning activities. However since the original development work was done, Flash has become less popular. The first blow was that Flash was not allowed on the iPad. Accessing Doorway Online using Puffin Browser on your iOS device or Android device (tablet or phone) should allow you to use the activities on this site without difficulty. This works in most homes. However, there may be restrictions on school networks that prevent this working. We are looking for solutions. The best solution would be a new version of each activity on the site. We’ve made a start. 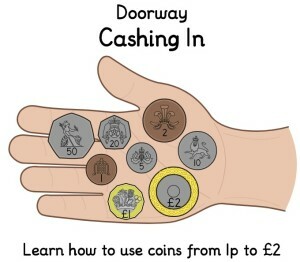 Take a look at Doorway Cashing In. Doorway Text Type 2 and Microsoft Browsers – Important information – Use Chrome. Please can you share this information around. It’s very important. A recent upgrade to Windows 10 has made Doorway Text Type 2 unusable in either of the Microsoft Browsers. Internet Explorer or Edge. Text Type 2 is our widely used touch typing tutor with features aimed at learners with visual impairment, large clear text, choice of colour schemes and speech feedback. It is widely used in homes and schools in the UK and beyond. The current solution is to download and install Chrome Browser from Google. Just search for Download Chrome, download and follow the instructions. We are working hard on a new version, but we cannot rush just because of the changes made by Microsoft. So please bear with us and use Chrome browser in the meantime. Please donate via the link on the Doorway Online site to help us with the large costs of development. This is a summary of the presentation to be given at CALL Scotland ASL & Technology Conference 14th June 2017. The Talking Computer Materials – These materials were developed by Philip Whittaker during his career as ICT support teacher for AN. They take advantage of the talking computer facility that is now implemented widely (Clicker, Textease, Wordtalk). He’ll be using Clicker to demonstrate use of these materials to develop literacy by using overlearning of phonic patterns in an enjoyable way. There is some humour! Note – Doorway Activities work with most browsers on most desktop computers. However because of restriction on Flash there may be difficulties on school networks that need to be fixed by consulting with the network admin. The activities work with Puffin Browser on iPads and Android devices. An installation CD for Windows can be licensed, which avoids the use of an internet connection, and any restrictions on Flash. These materials were developed while Philip Whittaker worked as an Support Teacher for pupils with Additional Support Needs. They require the use of a talking Word Processor; Textease, Clicker, MS Word with Wordtalk installed. We are aware that some users with Internet Explorer version 10 have been experiencing difficulty accessing the Doorway activities over the last couple of weeks. This issue should be fixed now. If you are still having problems you may need to clear your temporary internet file cache and reload the page. Thanks to all our users who helped solve this problem. We are sorry for any inconvenience caused. The costs of development of the activities have been shared by; Scottish Borders Council, The RS Macdonald Trust, the Agnes Hunter Trust, Charity Begins at Home (Kelso), The Robertson Trust, The Scottish Sensory Centre. The web-hosting is funded by a grant from CALL Scotland, Edinburgh University. It’s finally happened! Our new website has gone live. After six years with the excellent Sojomedia of Yetholm donating our webhosting, our new web sponsors are CALL Scotland. Thanks to everyone at CALL, the Scottish centre of excellence for everything to do with ICT Support for Learners with a wide variety of needs. Our website address has not changed and all your favourite activities are there in the same categories. Enjoy the new look of our site which will be easier to update and maintain. Spread the word. Thanks. We need funding to keep the site going and to develop new activities as well as tablet compatible versions of existing ones.